The holidays are truly the most wonderful time of the year. Although for many of us, it can be stressful dreaming up Christmas gift ideas for everyone we love. It is even more stressful trying to come up with the money to pay for it all. As a result, we retract from the celebration of the holidays and buy Christmas gifts for a select few or no one at all. Often times, the gifts we do buy are not a true reflection of our intentions. This article is an attempt to demonstrate a few creative, thoughtful, convenient and most-importantly, money-saving tips for stress-free gift giving during the holidays. If money is tight during the holidays, chances are you have a ton of credit card debt. If your credit cards are maxed out, perhaps the incentives you have earned by using them are maximized as well. Most credit card companies offer incentives as an attempt to lure you to use their card before you use the competition's card. Some of the incentives are very enticing offers and a great show of appreciation. The most popular example of such incentives is the reward point programs offered by many credit card companies. Generally, for every dollar spent, you earn one point. If you spend several thousand dollars, you earn several thousand points. For every 1000 points earned, $10 may be redeemed toward the purchase of hundreds of products from hundreds of top retailers, many of them offering great Christmas gift ideas. If you have 5000 points, that is $50 in value, for example. Many of us have the famous American Express Green Card - their Preferred Reward program is an example of what may be possible and available to you if you are one of their cardholders. Visit all of your credit card bank's websites for more information about their incentives and how they may benefit you this Christmas. You may be very surprised about the opportunities available after months and months and even years of using your credit cards and remaining a loyal customer. Giving gift baskets is an old tradition in gift giving and its longevity is due to a number of tried and true factors. Everyone loves food, especially gourmet food. The best gift baskets are loaded with premium food products made from quality ingredients. The manufacturers of food gifts are true professionals in the area of gift giving and create their products with your sentiments in mind. Products such as, "Thank You" Toffee Peanuts, "Happy Birthday" Chocolate Truffles, "Merry Christmas" Summer Sausage or "You're a Superstar" Hazelnut Coffee, are some of the example products you'll find inside professionally designed gourmet gift baskets. Adding keepsake items, such as, coffee mugs, teddy bears, picture frames, books, DVD's and a multitude of novelty items, make these clever gifts more special. Wrap it all up inside a gorgeous, handy basket or container with festive ribbons and bows and you have one unique, impressive and ideal Christmas gift. What makes gift baskets a truly practical gift to give is that it is as appropriate to give to families as it is to give to individuals. This Christmas send a beautifully decorated Christmas gift basket that expresses your sincerest sentiments to the entire family as opposed to individually shopping for every member of the family. After all, it is the entire family that is likely to partake in all the goodies found inside them. This idea is highly effective in demonstrating your thoughtfulness. The joyful nature of gift baskets and the abundance and variety of the goods within are sure to create a lasting impression. For the greatest selection and value in gift baskets, visit the Gift Basket Scene website. 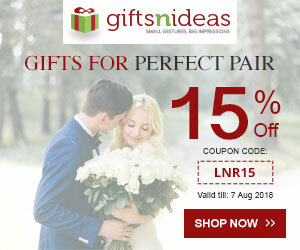 This website offers wonderful gift baskets for every occasion. Giving gift cards may not appear to be a unique or thoughtful Christmas gift, but it can be if done properly. Forget about giving gift cards from Walmart, Sears, Target and the like. Indeed, such gift cards suggest that you didn't put much time and thought into purchasing a great gift. People use gift cards from such retailers to supplement their weekly food or toiletry budget - these gift cards are nothing more than money in one's pocket and are forgotten about as soon as they are cashed in. The best gift cards come from specialty stores for very specific desires or needs that you know your recipient has. Give a Christmas gift of music with a $20 gift card from Apple for a family member wanting an iPod. Although you didn't foot the bill for the entire cost of it, the presence of it in hand will remain as a reminder of your considerate input. Give a Christmas gift of java with a $15 gift card from Starbucks to Dad who has to have a mocha every morning before work. He'll remember that special week of free coffee longer than you know. Give gift cards to couples from the best restaurants in town. Send your married friends to the Cheesecake Factory by giving a Christmas gift of dining - a special evening of one-on-one time well spent. The key to success in giving specialty gift cards is your ability to demonstrate that you are in tune with their passions, opinions and abilities. This reality alone creates jubilation in the recipient's heart; your genuine sincerity is instantly on display. This Christmas think earnestly about what your family and friends need and want - surprise them with a Christmas gift of understanding when you give them a special gift card from a special place. Visit GiftCertificates.com for the best selection in gift cards from a wide range of retailers. Truly, there is nothing more special than taking the time and energy to create something great with your own hands and creativity. Many people have innate talents, such as, sewing, drawing and painting. For those who possess such talents, nothing more needs to be said about the possibilities for Christmas gift giving - the possibilities exist within your talents. Most of us are not so talented, but there are still many ways to create precious gifts using ordinary resources well within your abilities. Baked goods, jewelry, photography, plants and even lottery tickets may all be dressed in cheerful dÃ©cor and packaging to create a unique and stylish holiday gift. Make your favorite fudge and arrange it in a colorful bakery box with a Christmas bow. Design your own jewelry by purchasing professional jewelry making kits. Earrings, bracelets and necklaces can all be created in quality fashion and placed inside authentic jewelry boxes for a truly professional presentation. Family Polaroid's can be digitally recreated to generate quality images that can be thoughtfully arranged in beautiful collage frames that can be purchased at any craft store. Give out lottery tickets inside personally designed greeting cards that you can design yourself on your own home computer with your graphics and written words of expression. Buy an assortment of ceramic pots and pick your favorite plants to put inside them. Cover the plant in decorative cellophane, ribbon and bows for a Christmas gift of nature. The key here is to do it yourself at a fraction of the cost of buying it somewhere else and for a fraction of the time it takes to shop individually for everyone on your Christmas list. Do it yourself and you just may experience the joy of the holidays in the most satisfying way ever. A great website that offers a wide range of gift supplies, including boxes, bags, ribbons, and so much more is Nashville Wraps. There you will find everything you need to put your gift ideas in motion. Gift exchanges have been around for many years and are no real secret in gift giving. However, the reason why it is included in this article is because of the fun and creative ways they can be planned. Often times, people get bored with the basic gift exchange and desire more excitement in gift exchanges. If a gift exchange is something you have never tried before then you are missing out on a great opportunity to create some real fun with friends and family. A gift exchange for many people is more fulfilling for the giver and receiver. You spend less time thinking, shopping and spending money. You can instead give your undivided attention and money to one special person. The results allow the true meaning of the Christmas season to shine. There is delight and joy in receiving a thoughtful Christmas gift. For those who have witnessed the positive results of gift exchanges, but are looking for a twist, there are a few things you can try. How about everyone exchanging their favorite wine or alcohol? Consider tip #4 above and exchange something that has to be created with your own hands and personal ingenuity. Why not exchange holiday ornaments or dÃ©cor - every holiday season your Christmas gift is a reminder of your thoughtfulness. Many families like to exchange something from home and enjoy the gift of entertainment and laughter. Mugs, ties, belts, scarves, art, antiques and even old misfit gifts from previous Christmas' can be the subject of much amusement. You can exchange baked goods, personal services, books, plants, board games, appliances, video games, event tickets, subscriptions, "things that go on your feet", "things that go on your head", "things that you rub", "things that you smell" or any gift from any theme you can think of. It's fun to have a different theme each year. You can even have a secret Santa gift exchange by keeping your recipient's name a secret and surprise him/her on Christmas day. The goal here is to be smart, creative, fun, save time, save money and promote the spirit of Christmas. For help planning a gift exchange, go to the SecretSanta.com website. SecretSanta.com is a free service that offers a host of themes that can be used for gift exchange events. When creating a gift exchange event, you can select themes for Christmas, Hanukkah, Kwanzaa, as well as general holiday themes. The holidays are not suppose to be stressful and should be a time of joy, love and peace. This Christmas dig deep into your heart and not your pocket. Find Christmas gift ideas that demonstrate your thoughtfulness without the frustrations experienced from previous holiday seasons. Stay true to the season, true to yourself and spread the joy of Christmas along the way. Have a Merry Christmas!